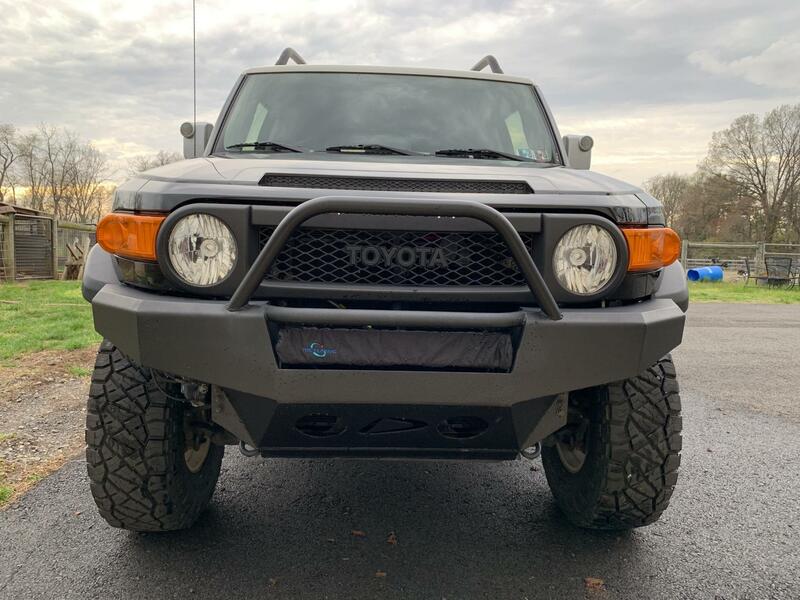 Toyota FJ Cruiser Forum > Toyota FJ Cruiser Discussion > Interior / Exterior Visual Tech > ID Bumper and lighting questions. Only recently got this 2012 FJ from NC. I’ve looked around and can’t find who the bumper manufacturer is. The integrated lightbar was on it when I got it...it’s a 20” Lifetime LED. I had to put the cheap cover in it for PA inspection. Also, at some point it had a light bar on top, and also 2 rear puck lights (Rigid) mounted on the rear cross bar of the luggage rack. The rear lights didn't work, and the wiring was a mess so I removed them. Later, I checked them on the bench and they work fine, so I might put them back. 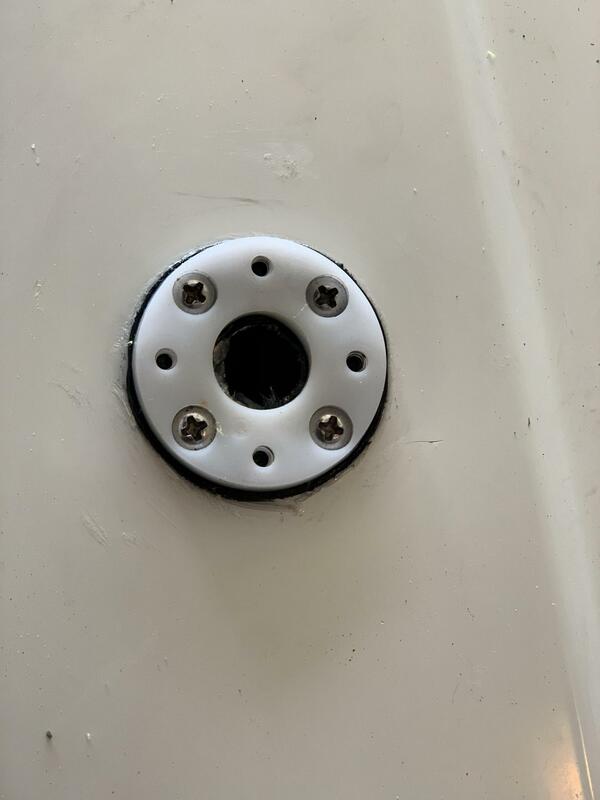 The top had a hole drilled for the wiring (much to my horror), and they used this marine bulkhead piece to seal off the roof. I’ve removed the wires and resealed the bulkhead back for now. Is there any kind of long LED lightbar that mounts to the front portion of the luggage rack? Last edited by Neuropel; 04-16-2019 at 03:24 PM. Re: ID Bumper and lighting questions. There are also cheaper knock-offs on eBay, but the same general idea. No idea on the bumper. The cable clams work very well when used properly.....which your was not. The roof hole hurt my eyes, too! I’m curious about the comment regarding the CableClam not used correctly? What was done wrong? It was used as intended, they just added a small “dollop” of silicone on top of the rubber for added measure. Cable Clams are intended for a single cable to pass through. Each Clam has a max cable dia. When installed correctly the rubber insert will compress around the cable creating a water tight seal - no need for added measure. From the pic it looks like they tried to either pass 3 cables or 1 bundle through a clam that is to small which is probably why they needed the added measure. 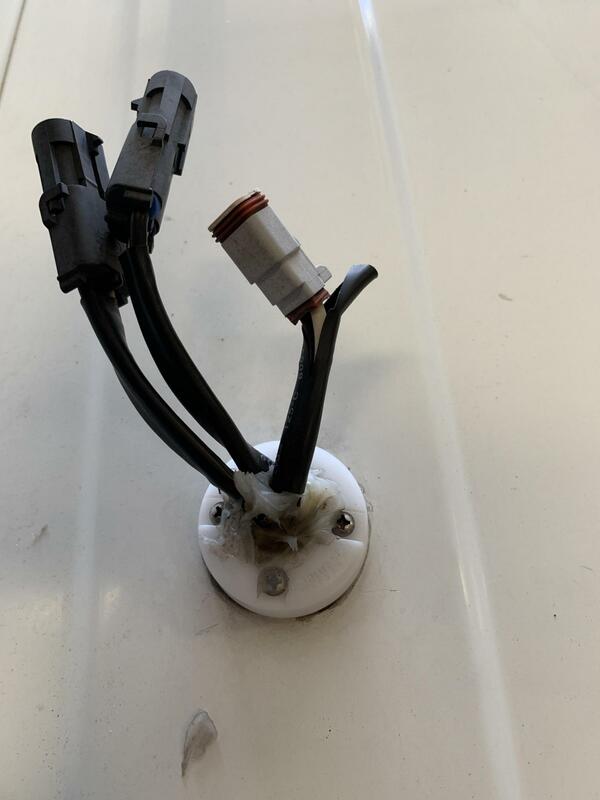 I have the connectors plugged and back inside the vehicle, and resealed the rubber piece of the clam with clear RTV and put it back in place as a water/weatherproof plug until I can decide what to do next. The Rigid lights are still in nice shape and they work well, so I may reinstall them. Also, perhaps add a 50” lightbar on the rack? All switches and associated wiring are already in place, so why not? Pretty sure I can run a much cleaner install than what was there (honestly, it wouldn’t be too hard to beat what was there).